My car battery died at the coffee shop on the way to Wauconda Saturday. At first I was bummed that I would miss my 8:45 start, which I did, but the prospect of lining up in a totally different race category quickly got me over my bummedoutedness. Race start would now be 11:45, plenty of time for AAA to rescue me and still make it to the race. I’ve never had so much time to set-up, get ready and warm-up – loved it. Maybe a permanent category change is in order. Being new to a category has at least one disadvantage – lining up DFL. Game face time! Game face worked pretty well for me, moved up from DFL to finish 16th. Or, maybe it was the new bike. Next stop: Carpentersville. Jeff and the gang from Main Street Bicycles and North Branch Cycling put on a fantastic day-long race alongside Carpentersville’s Oktoberfest. Polka music, brats, brews, mud, cross = damn fine day. 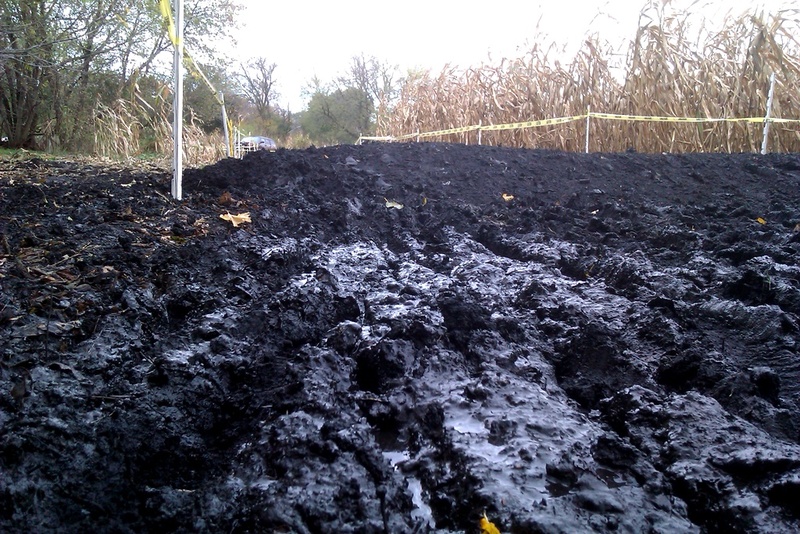 Muddy woop-de-doos through cornfields are like straw bales, they should be mandatory course features. I dug as deep as I could and managed to pull out an 8th place finish. Two days in a row of cross racing hurts. Bad. 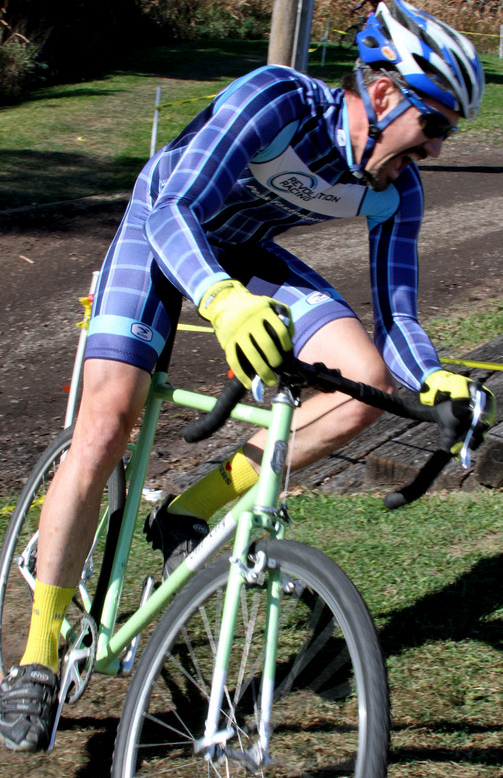 New CX goal for the year (down from podium finish) crack the top 5.